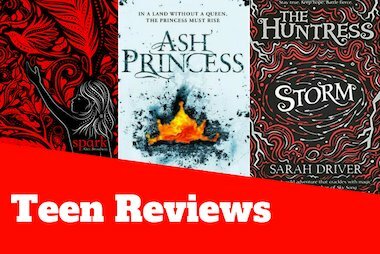 During the summer holidays, we’re putting some of our favourite Teen Reviews up on the Scholastic blog for you to read. It’s been a whole year since we’ve had the Teen Reviews page on the Scholastic website and we’ve had such an incredible response. 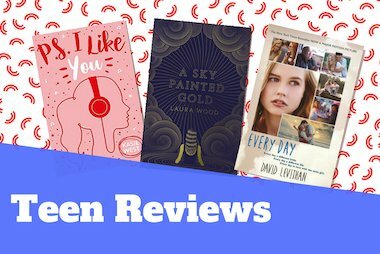 On our Teen Book Club leaflets we only have space for a sentence or two so we wanted to give our Teen Reviewers a bigger platform to really get their thoughts across. 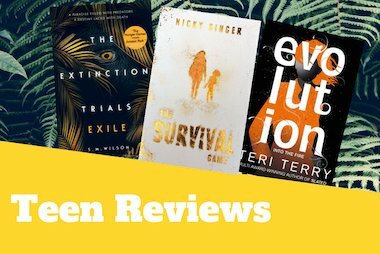 In this post, Alex and Holly tell us all about the captivating worlds of some brilliant adventure novels they’ve read recently. Kestrel and Bowman go on an adventure to find a piece of the Wind Singer (a mysterious monument which sings when it is windy). They find their path blocked by a god the Morah, who sends her army (the Zars) after Bowman and Kestrel. They must lead the army back to the city of Aramanth – where rules are everything. Bowman and Kestrel put the missing piece of the Wind Singer to its rightful place, the Zars hear the wind singer sounding and all crumble to dust. The book opens up your imagination with inventions and ideas, such as landcraft (which are boats but travel over land instead of just water.) I also liked how Kestrel and Bowman can send thoughts to each other, like silent speech. I found the plot difficult to follow at times, but once I got going, I found it hard to put the book down! I would recommend this book to others, especially those who love reading action and adventure books. 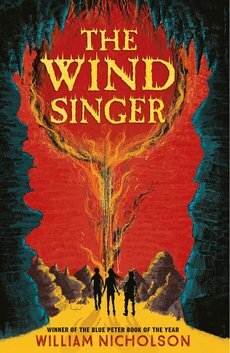 Like stories that are different and take you to other worlds, then Wind Singer is the book for you….I just hope you don’t turn to dust! Find out more about The Wind Singer here. I would recommend this book for 9/10-14 year olds as some words could be a bit difficult for some readers but can be explained by parents. This book is told by two perspectives, Thorn a slave/criminal, who committed a crime and let his Dad take the blame, after his Dad got arrested he heard the news he escaped so he decided to look for and ended up as a slave (whew, that was a mouthful), Lily/Lilth who is queen of Gehenna (despite being young), whose parents and brother died of an ambush by a mysterious, masked man. Our story starts when Thorn is bought as a slave to Tyburn, Lily’s executioner. He brings him back to Gehenna where there is an uproar. Lily is supposed to marry Gabriel, the prince of the Solar region but when her dog drinks out of her a goblet and ends up poisoned, everyone panics thinking that someone tried to kill her. Thorn, Lily and K’leef, the Solar’s captive, teams up to try and find out who this killer. But will they find out who the killer is before Lily has to be taken away to the Solar Region? 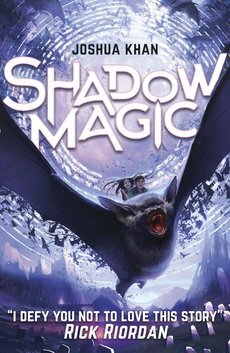 Find out more about Shadow Magic here.